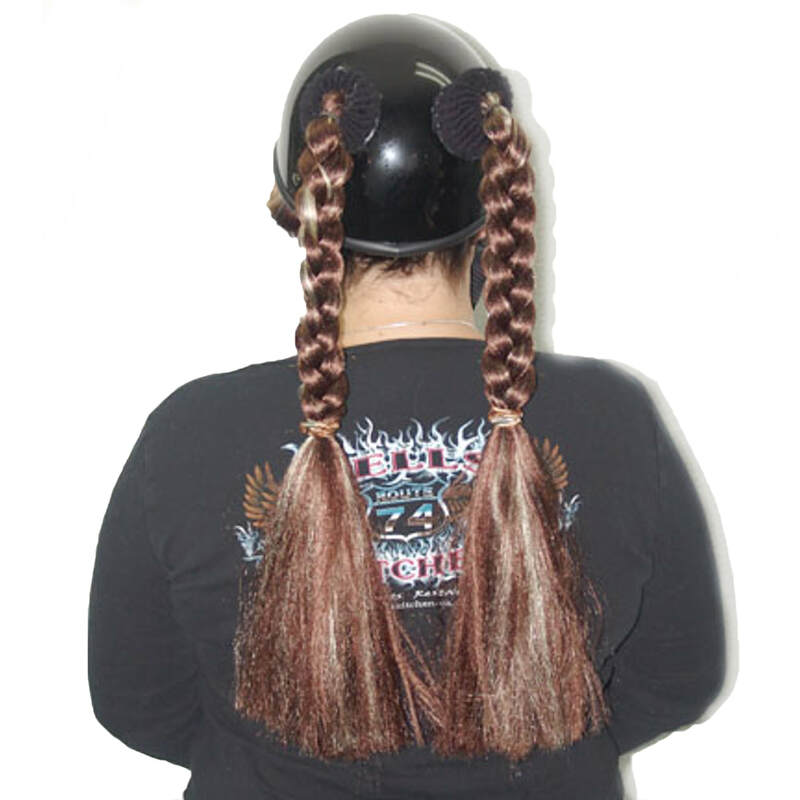 These different and cool motorcycle helmet pigtails are sure to help you stand out when you are riding. They were originally designed by a woman named Bunny who wanted to show off her girly style while riding her motorcycle. Most helmet designs she found were quite masculine so she came up with these. Each pair is handmade by Bunny and they are available to ship all over the world. There are quite a few different styles and colors to choose from because everyone has different tastes. If you love quirky, bright, interesting, fun and unique items then these motorcycle helmet pigtails are all of those things. Below are images of some of the different styles that have been designed and made by Bunny herself. 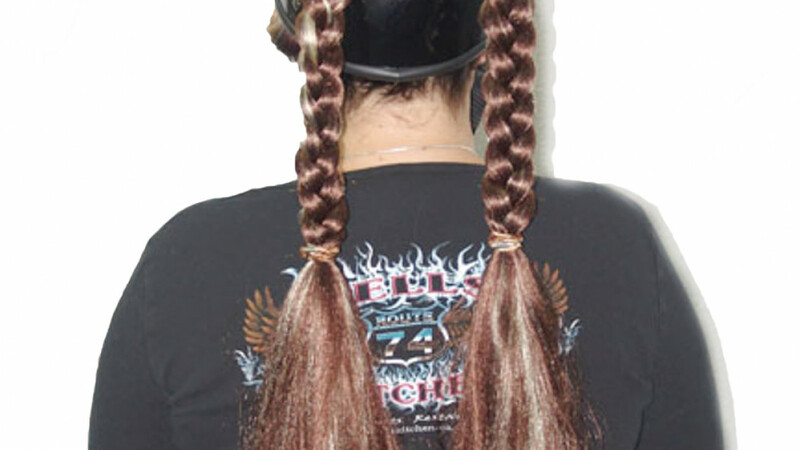 If you like the idea of helmet pigtails that are natural in color there are several natural shades available. There are also bright and interesting colors available if you like to stand out. Choose something close to your own hair color or something fun. If you enjoyed checking out this fun article you may also like to check out the following.